Jeremy Williams is a freelance music journalist, photographer, actor and editor living in the UK. 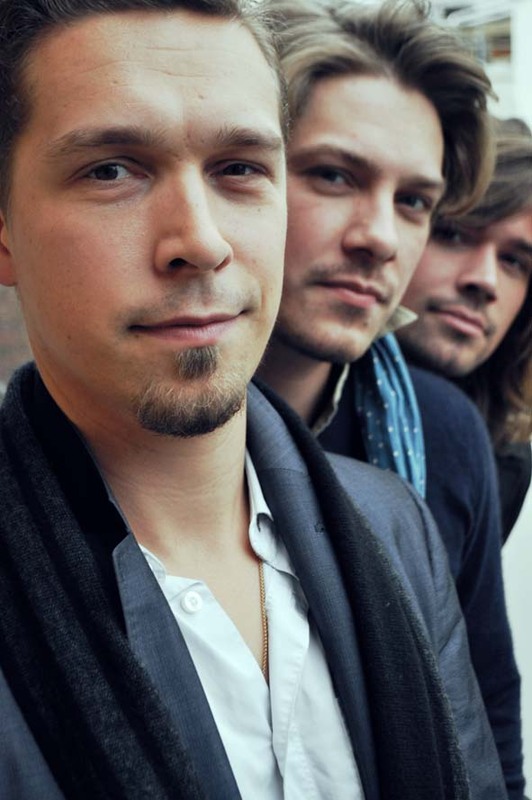 He has taken some of our favourite shots of Hanson, interviewed them several times and photographed them while on tour. We first came across Jeremy’s work during the Shout It Out tour, when he took some shots which have become well known and loved by Hanson fans around the world. We recently interviewed Jeremy and asked him about love for music, his pictures and his experiences of working with Hanson. How did you get into music journalism and what brought Hanson to your attention? Hanson-I was the right age, I guess! I was at secondary school when MmmBop was released. I loved the song and have loved most of their material since. As someone with understanding of the modern music industry, what are your thoughts about Hanson’s music and the way their career has developed? I have full respect for them. I admire anyone who keeps level headed in such a trying industry. The boys are passionate about music and keep it about the music as opposed to chasing fame. Fame is a short lived illusion, being a credible songsmith is not. You have had the opportunity to talk with Hanson and ask them questions – has anything particularly struck you about their attitude or approach to being in the music business? Just their down to earth nature and the sense of fun. They are truly lovely and I hope to meet with them again for further photoshoots and interviews. What do you notice/enjoy about being at a Hanson show as a music lover? The quality of their musicianship. All three are skilled musicians who can hold their own solo, while equally understanding that work as a group is not about ego or spotlight stealing. As a trio they bounce off each other beautifully. Hanson have enormous experience as live performers – how does that express itself or make a difference for you as a photographer, either during a live show or a formal photo shoot? Live photography is all about capturing the energy of the performer. The trio are full of energy which is fun to capture. ‘Formal’ photoshoots are more my line of work and the trio are experienced enough to know that a relaxed, fun atmosphere creates a better feel to the images. You have taken pictures of Hanson in both of the above situations – which have you found the most interesting? I prefer more formal photoshoots as it is more my line of work. Live photography is a buzz but I get so carried away in music that I sometimes wish I were just watching! Formal photoshoots are about forming a connection and bond. I found the three really fun to photograph. I would so love to be asked by the trio to work on artwork for a future album but that is a bit of a pipe dream! What is the dynamic like between Isaac, Taylor and Zac during a photo shoot? I guess anyone who is a dedicated fan would probably know more than I do about their dynamic, but I would say that I found that all three were full of banter. Zac was perhaps the joker of the group, Tay the talker seeking a connection and Ike slots between them effortlessly. 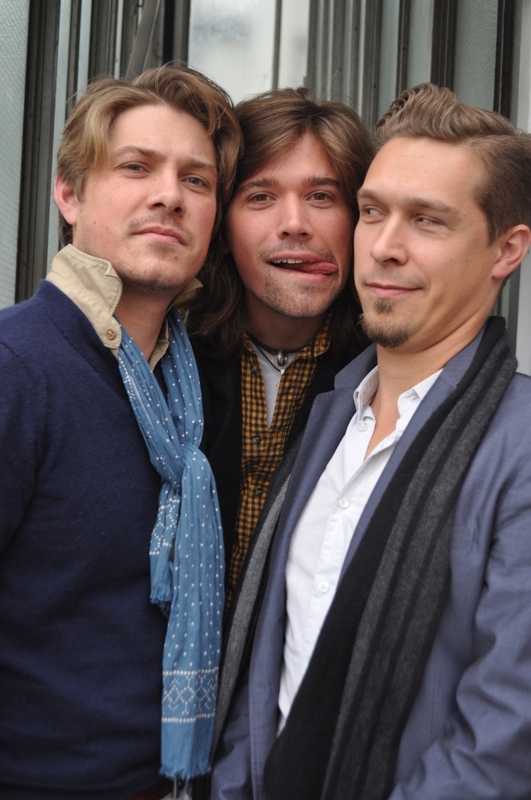 Can you share a couple of Hanson pictures that you especially like and tell us the story of that moment? I would say my favourite shots are from the photoshoot – there are a couple I like because I really like the way the brothers look and the shot composition, others I like as they are almost candid capturing the in between banter. This picture is an unedited original caught while setting up a shot. No one has seen this before – not even the boys! You took photos at the Birmingham show during the Anthem tour. What did you think of that show? I loved the show, it brought Anthem to life for me. I loved Shout It Out’s funk drive and Anthem was a bit further from my normal listening terrain. Seeing the songs live ignited my interest in the record properly. However, it was hearing a few underplayed classics and their Bee Gees cover that were the magical moments. Live, I would say these three photographs capture the enjoyment the boys clearly have from their performance. 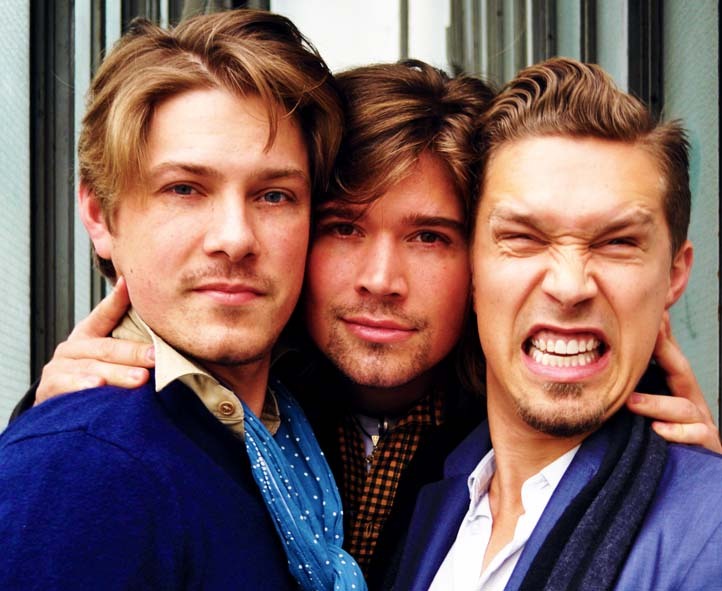 Are you a fan of any particular Hanson track? There are a few that are special to me for different reasons. My close friend Nikki and I bonded over early Hanson. She lives in New York and has a big love for the boys. I’d say MmmBop was a formative influence on a friendship I treasure, so that is important. It also reminds me of a trip I took with my family when ‘Middle of Nowhere’ was released to France. We only had the one album with us as both my brothers had brought singles with them. We had the album on repeat till my parents could stand no more and my little brother was allowed to put that hideous The Cartoons song on in its place. When that was also banned, my brothers and I made up a ridiculous song called ‘SOS‘, which we still reference to this day. ‘Give A Little‘ is the song that convinced my partner to listen to Hanson and not pre judge them. He now blasts ‘Shout It Out‘ semi regularly from the stereo and it feels good that he now enjoys them too. ‘If Only‘, ‘I Will Come To You‘ and ‘Thinking ‘Bout Somethin” are others that make me smile and feature heaviest on my play rotations. ‘Use Me Up – I am a huge fan of Zac’s vocal and he really shone when I saw him perform it in concert! Hanson are always drawing on musical inspirations, so if you had the chance to recommend any other artist, for their pleasure and inspiration, who would it be and what track would you choose? Goodness-this is an impossible task! I would not know where to begin. I guess I would love to hear Hanson team up with Cyndi Lauper or LeAnn Rimes for a duet. 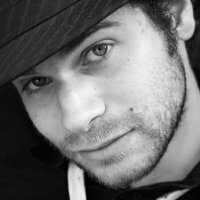 I think a collab with Idan Raichel would be very interesting in terms of influences as I think The Walk was undervalued as a release. But in terms of inspiring them… I love Blue Angel’s album Departures, I am obsessed with everything Ane Brun releases, Lena makes me smile and I adore Olafur Arnalds work. All are very different to Hanson but all are very enjoyable. 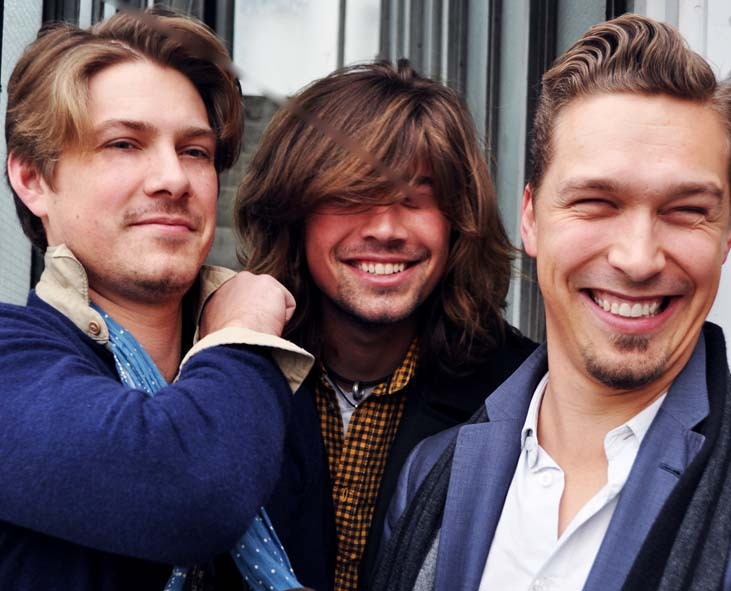 Where can our readers find your reviews, pictures and articles about Hanson and other artists? Many thanks to Jeremy for his time, stories, photos, insights and generosity. Thanks especially for the exclusive picture. We love it! We look forward to news of his next meeting with Hanson.